Is Legacies your first foray into the TVD Universe? Maybe you just need a Gemini Coven refresher course? Here’s everything you need to know about the Merge. We’ve heard a little about the Merge here and there throughout Legacies season 1. From Alaric’s little chats with Caroline on the phone to Lizzie’s jinni adventures, we’ve gotten a good idea about how serious the Merge will be. But for those of you new to this whole TVD Universe thing, it may be a little confusing. Let’s fix that. 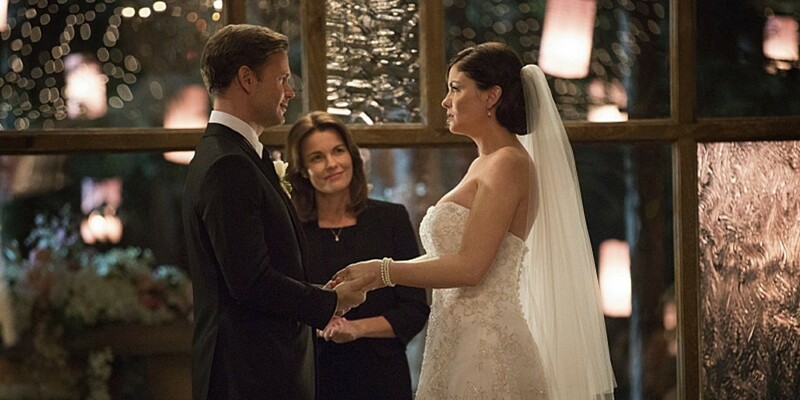 We first learned about the Merge in The Vampire Diaries season 6, when we were surrounded by Parkers trying to avoid becoming the twins that have to perform the ceremony. Since then, the ceremony has caused a lot of craziness and it’s about to complicate a lot of things for the Saltzman family. Read on for all you need to know about the Merge. The Merge is a Gemini Coven thing. The Gemini Coven is a family of witches who only allow a twin to lead them. Every pair of twins born to the coven must participate in the Merge on their 22nd birthday (or during the next major celestial event that they can use to power it). The ceremony is simple: The twins hold hands and speak the incantation, “Sanguinem desimilus. Sanguinem generis fiantus.” As they do that, their power does battle. Sometime after the Merge begins, the two will both fall unconscious and whomever returns to the land of the living is the victor and becomes the new leader of the Gemini Coven. The loser dies. While the loser may no longer be alive, their essence is not entirely lost. The victor will take on some of the qualities of the other twin as well as all of their power. We saw this ourselves as we watched Kai struggle with Luke’s humanity after he did battle with the fairer Parker and won. It’s also important to know that the coven’s leader holds the fate of the entire coven in their hands. Once Kai won his twin battle, he could not be killed without taking out the entire Gemini Coven along with him. The next leader will take that responsibility on after the next Merge, and the former leader will be relieved of that burden and can die with no consequence for the coven as a whole. We also know it is imperative that the twin absorbs the power of their respective twin. Kai did battle with Luke for his Merge, but, because Kai’s twin is Jo, he became violently ill shortly after his victory. It only stopped once Jo willingly gave her magic over to her twin. She lived on, but was no longer a witch. I think that hits all the high points of the Merge itself. Now it’s probably important to talk about why it’s important to Legacies fans old and new. The Saltzman twins were saved from dying along with their biological mother due to the Gemini coven’s intervention. When Kai killed himself, triggering the rest of the coven’s demise at Alaric and Jo’s wedding, they managed to magically transfer the twins to Caroline’s womb before they died. Josie and Lizzie will undergo the Merge on their 22nd birthday, so while they’ve still got some time before then, Alaric was hoping to spare them the worry until it was necessary to tell them. 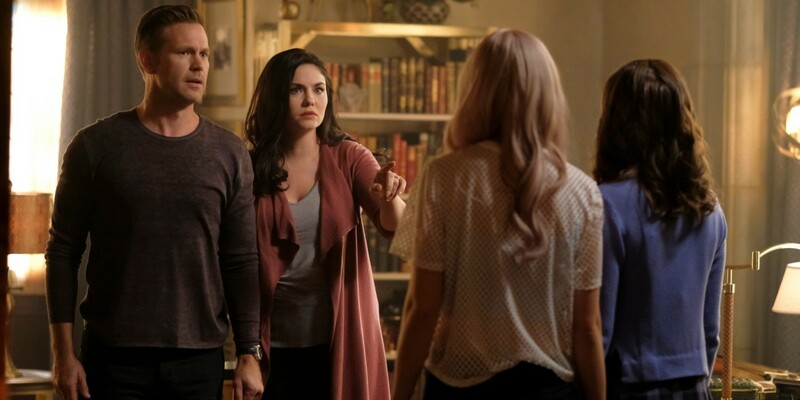 Since they have a little time, Caroline and Alaric were hoping to find a solution to the problem and keep the twins from having to ever endure the Merge or stress out over it. Caroline hasn’t been around Mystic Falls since Legacies began due to her search for these answers. Anyway, Penelope handed Josie the golden ticket to learning all about the Merge and what it means for her and Lizzie. Since they are both siphoners, it’s hard to know who would win if they Merged. In the two sets of twins we’ve met, only Kai was a siphoner, so we’ve never seen two siphoners without their own magic do battle. I expect this to be a major confrontation as the girls learn about their father’s big secret. They haven’t been happy with the other secrets he’s kept from them so far in Legacies season 1, but this one hits especially close to home since it directly affects both of their futures. What questions do you have about the Merge?